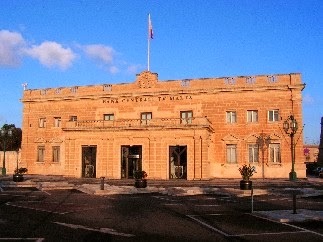 Found on 4-Traders on September 18, 2012: "The Central Bank of Malta has published the second issue of its Quarterly Review for 2013, which analyses economic and financial developments in Malta and abroad during the first quarter of 2013 and comments on general developments in subsequent months. Referring to the monetary policy stance of the Eurosystem, the Review notes that the Governing Council of the European Central Bank (ECB) left key interest rates unchanged in the first quarter of 2013. In May, however, the rate on the main refinancing operations was lowered by 25 basis points to 0.50%, while that on the marginal lending facility was reduced by 50 basis points to 1.00%. The rate on the deposit facility was left unchanged at zero. As a result, the corridor between the ECB's key policy rates narrowed to 100 basis points from 150 basis points. This decision reflected expectations of low underlying price pressures over the medium term, ongoing weakness in the euro area economy and subdued money and credit dynamics. In July, the Governing Council adopted a forward guidance approach to monetary policy, announcing that it expected key ECB interest rates to remain at current or lower levels for an extended period. The Eurosystem also continued to implement non-standard monetary measures aimed at supporting the monetary..." read on.